Don't Move Now, Joey ! 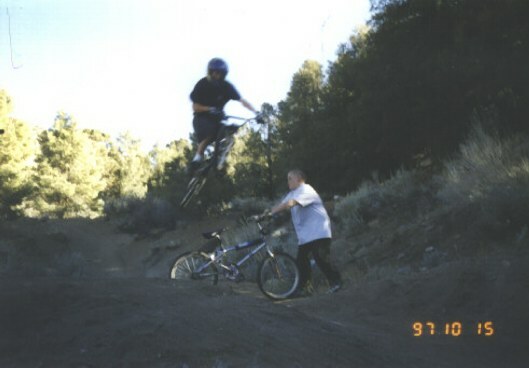 While I was still racing BMX, a few of my friends and I would go out to the "levels". A big open area in Wrightwood, to practice. Normally, my friend Wade would let me jump him. Joey came with us that day, and he wouldn't let me do it. He decided to move while I'm in the air which wasn't too good. All turned out okay, but, it made my heart jump a little.